The newest entry in the Fifty-Nine Parks series comes courtesy of Claire Hummel. 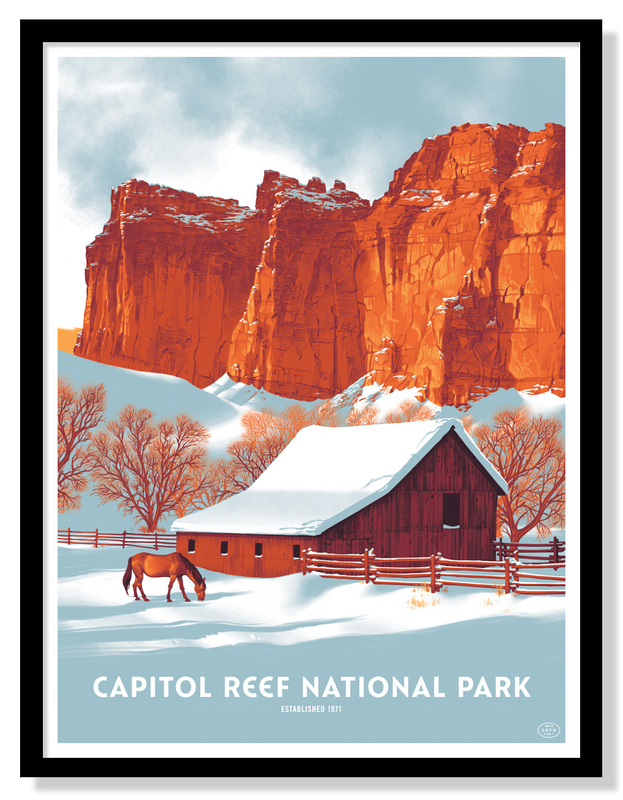 Capitol Reef National Park is an 18″ x 24″ screenprint for $40. Visit 59Parks.net.